Looking for some great kids room decor ideas? The five decorating ideas on this page are worth considering if you're keen to raise a reader. They're quick, easy and inexpensive decorating ideas that will add a special, individual touch to your child's bedroom, play space or special reading spot. 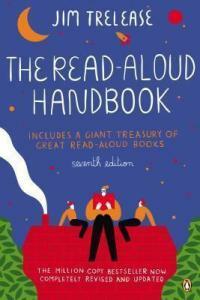 Best of all, they're a fun way to make a gentle statement about the importance of reading in your home. If you want to encourage your kiddos to read, the experience needs to be enjoyable and a cosy, comfortable spot which is quiet and well-lit goes a long way towards making reading fun. Teachers know this and often go to great lengths to create beautiful reading spaces in their classrooms, with artwork and shelving that helps to define the space. Why not do the same thing at home? Whether you have a specific space you can set aside for a reading nook or are looking decorate your child's room with a reading theme, have a look at these ideas and be inspired! Some people are so clever. 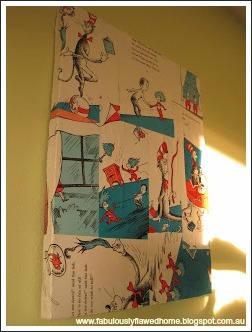 This blogger used an old copy of The Cat in the Hat which was falling apart to make a canvas for her little one's bedroom wall. She also made a matching lampshade. Of course, you could do the same using any book your child loves but what a simple idea. Why not try a charity shop for copies of books to use? They always have loads of kids' books going cheap and you'll be donating to charity as well. An idea well worth copying! Click on this link for the instructions. These cute canvases can be bought from this etsy store but you could easily make your own. And, of course, you could use any book or author. Roald Dahl comes to mind. There are some great quotes in his books. Simply do them on your computer and print them out, them laminate or frame. You could also modge-podge them onto a canvas if you like. 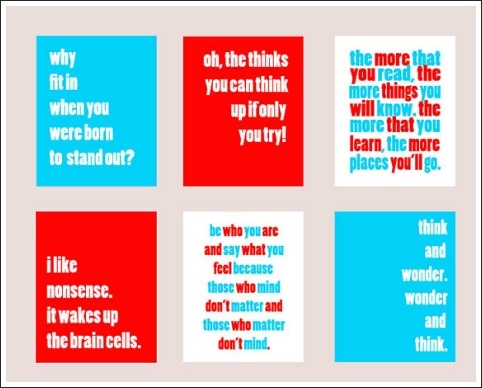 How cool would they look on a child's bedroom wall? There's quite a lot of evidence to support the idea that kids read more when books are displayed with the covers facing outwards. This is true whether you're talking about the books in a classroom or the books in a child's bedroom. 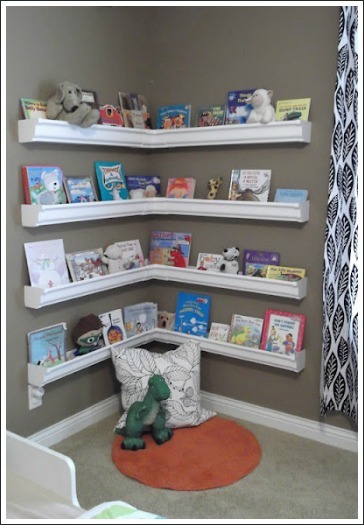 Displaying books on wall-mounted rain-gutter-type shelves means kids are more likely to be attracted by the cover and to pick a book up and read it. Rain-gutter book shelves are actually really easy to make yourself and they look great in kids' bedrooms so why not build some for your child? You'll find pictures to inspire you and links to instructions to help you build them here. 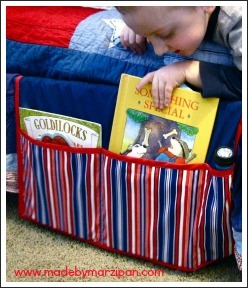 This gorgeous bedside book caddy would be great for a child of any age but especially for a toddler. Imagine your little one waking up from a nap or early in the morning and reaching for a book without even having to get out of bed. What a great habit to encourage! 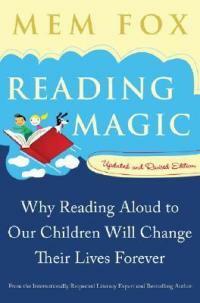 Let your child decide which books to keep in the caddy and when to change them so he is in control of his reading. It's easy to make and so cute. The instructions are here. The reading nook in the picture on the left is one of my favourites. See what a tiny space it is? Yet it's cute and colourful and cosy and would definitely make me want to curl up with a book! You'll find some cute ideas for creating a special reading spot here but really the only limit is your imagination. What I do know is that kids love small, cosy places where they can snuggle in, hide away and be private for a while and if their special spot is set up for reading, they'll definitely read. You can even use some of the other decorating ideas on this page to decorate your reading spot. 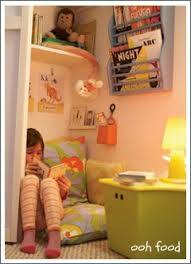 You don't need a great deal of space to create a special reading spot. Once you get started, you'll find you can do a lot with even the tiniest space.